Mental health and addiction care providers across Ontario are at the breaking point trying to meet the needs of those seeking treatment and services. Pointing to the growing demand and decreasing capacity, Addictions and Mental Health Ontario (AMHO) is calling on the provincial government to make mental health and addictions a priority, and invest Where Change Happens. Help people to live in the community by hiring 2,200 new mental health and addiction professionals such as case managers and social workers over the next 4 years. Improve accountability and outcome measurement by establishing a data system for Ontario’s community mental health and addictions sector. Avoid service erosion and keep up with rising costs like hydro and food, and to help retain staff by increasing operational funding by 3.75% for the next 4 years and matching it to CPI in the years following. Provide a home and a connection to critical health services and spaces by adding a minimum of 30,000 supportive housing units over the next 10 years. AMHO's plan was developed with significant input from our membership and Board of Directors and we are very grateful for their contributions. 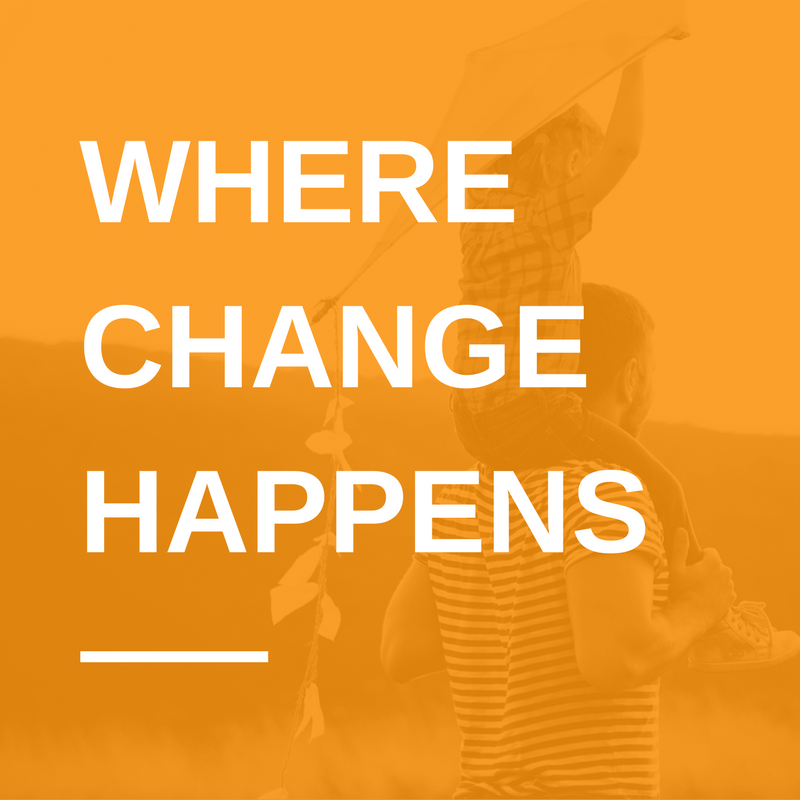 Find out more about our action plan here, and read Where Change Happens here. Gail Czukar, AMHO CEO, and board member Holt Sivak, ED of Thresholds Homes and Supports, presented to the Standing Committee on Finance and Economic Affairs January 18 in Kitchener-Waterloo as part of the pre-budget consultations. Gail and Holt shared AMHO's four recommendations to improve quality and meet the growing demand for mental health and addiction services by investing in the community. 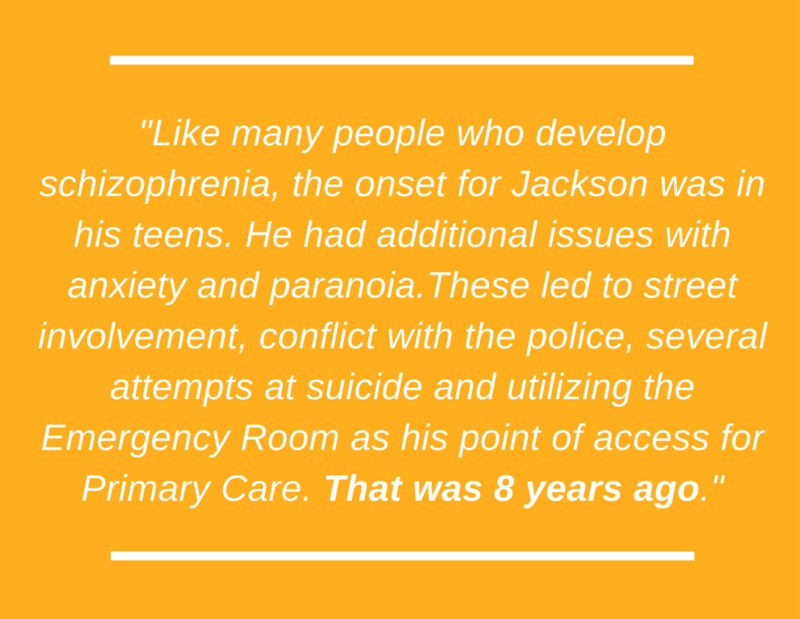 "Like many people who develop schizophrenia, the onset for Jackson was in his teens. He had additional issues with anxiety and paranoia.These led to street involvement, conflict with the police, several attempts at suicide and utilizing the Emergency Room as his point of access for Primary Care. That was 8 years ago." "Today, Jackson is housed with Thresholds as his landlord. We top up his rent; coach him on being a good tenant and a good neighbour and help him tend to his mental health issues." "Jackson now holds a part time job working for a local social service agency shoveling snow for seniors. He has taken some local leadership training and does volunteer work as a peer supporter. More importantly, Jackson is connected to his community. He has friends, people who care about him and who he can help to take care of. Jackson has a sense of belonging." "I want to enable more stories like Jackson’s. And that's why we are here today sharing our recommendations with you," concluded Holt. To read more about AMHO's pre-budget recommendations, check out Where Change Happens on our website here. Thank you to everyone for submitting your presentation proposals! We got an outstanding response to our Call for Presentations for the 6th Annual Addictions and Mental Health Conference, taking place May 27, 28 and 29, 2018 at the Hilton Toronto. Thank you to everyone who took the time to respond to the call. We are confident that these presentations will allow us to build another rich conference program and deliver high quality learning for the mental health and addiction sector. Applicants can expect to hear back about the status of their proposal by the end of February, and registration for the Conference will open in March. The Excellence through Quality Improvement Project (E-QIP) was delighted with the response we received for the call for QI coaching assistance. We have received more requests than we have resources and hope to move some of the projects to cohort 3 beginning in the later summer 2018. A very sincere thank you to all the agencies that submitted an application. There will be another opportunity to submit an application in mid June, stay tuned and/or let us include you in the E-QIP mailing list. 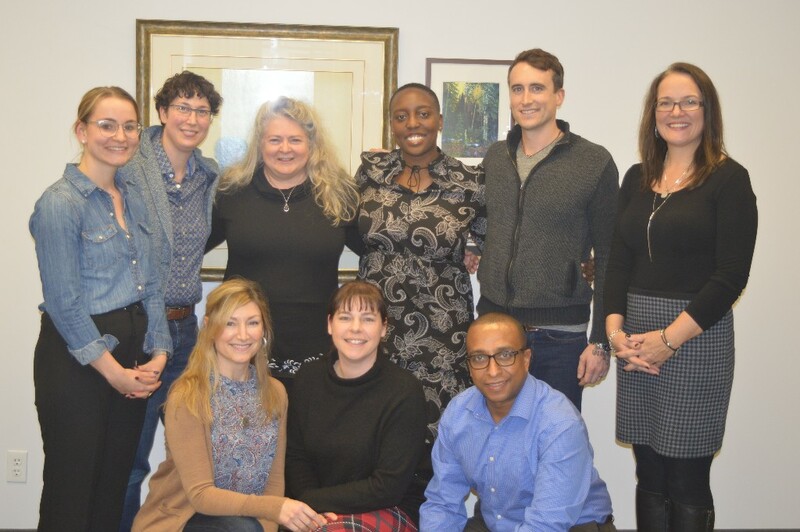 The E-QIP team is finalizing which projects will begin in February and are currently contacting agencies to invite them to the Executive Sponsor training on February 20, 2018 in Toronto and February 22, 2018 in the north - to be confirmed. Curious about the types of projects EQIP supports? Check out the project profiles from Cohort 1 online here. 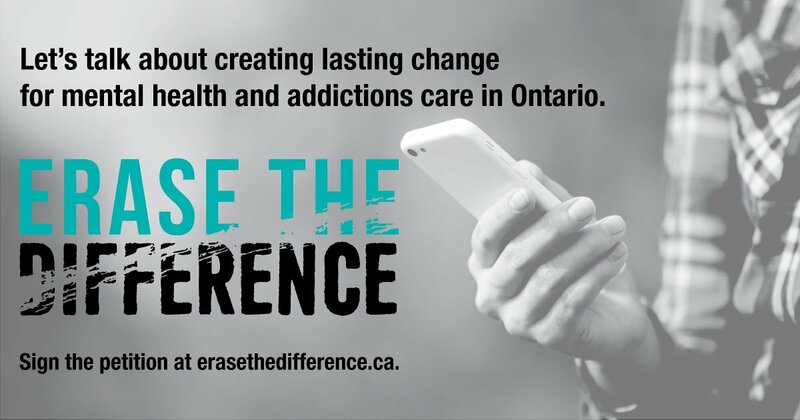 In the lead up to the provincial election scheduled for June 7, 2018, we are joining our partners in raising our voices to let election candidates know it is time to erase the difference between mental health and addictions care and physical care by investing where change happens. We know that up to 70% of mental health and addiction issues begin in childhood or adolescence. 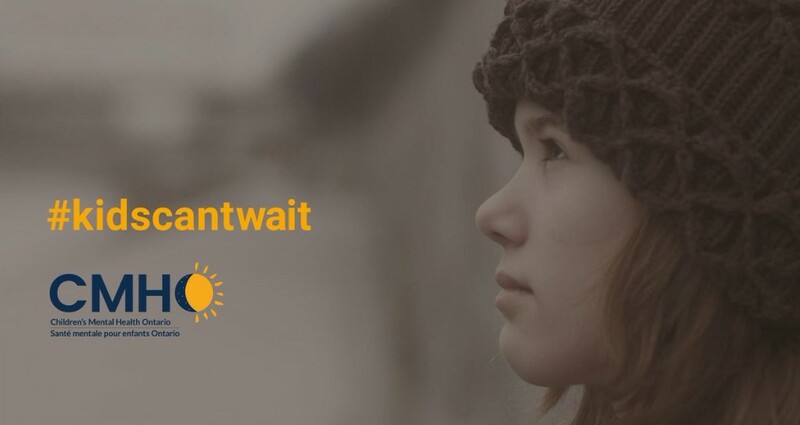 Yet youth in parts of the province are waiting up to 18 months for treatment. Click here to let Premier Kathleen Wynne know that kids can't wait, and urge the government to invest where change happens. If you'd like to spread the word to clients and your network about this opportunity, HQO has created posters, backgrounders and images you can download here. Their call for new members closes February 16, 2018. The application can be found here. Check out EENet's webinar recording on "Launching the full evidence priority agenda for Ontario," and check out the full evidence priority agenda here. Complete this survey from Rainbow Health Ontario on Setting an LGBTQ2S Health Research Agenda for Ontario. Sign up for the Innovations in the Science of Cannabis Conference February 9 and 10, 2018 in Hamilton. 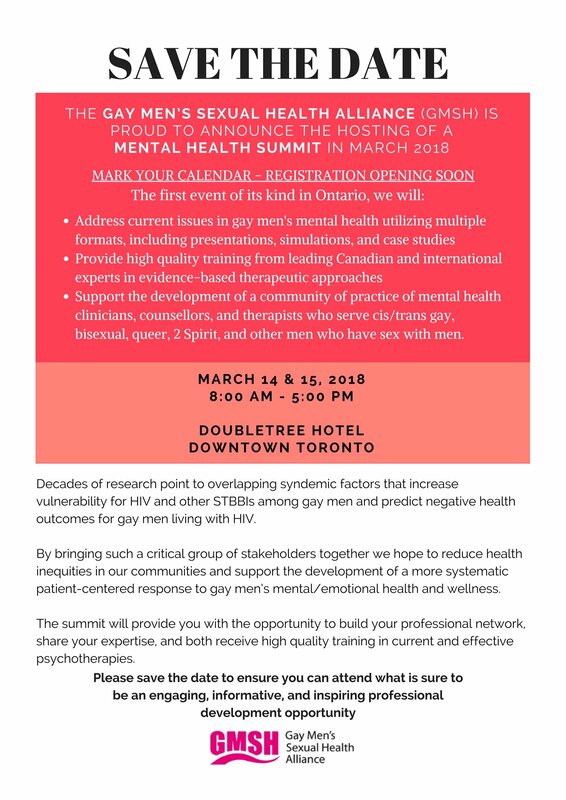 Save the date for the Gay Men's Mental Health Summit, March 14 and 15 at the Doubletree by Hilton Downtown Toronto. 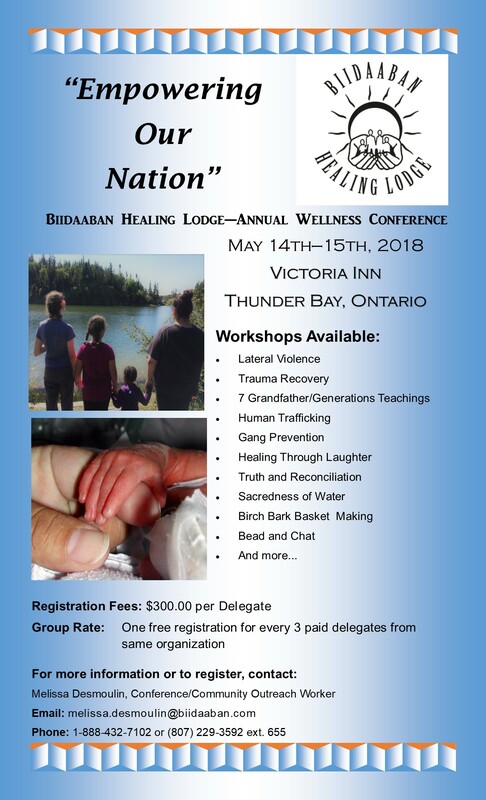 Register for the Biidaaban Healing Lodge's Annual Wellness Conference, May 14 to 15, 2018 in Thunder Bay, Ontario. Watch this webinar organized by the Opioid Resource Hub on "How Can Injectable Hydromorphone and Pharmaceutical-Grade Heroin be Used to Treat Opioid Use Disorder?" 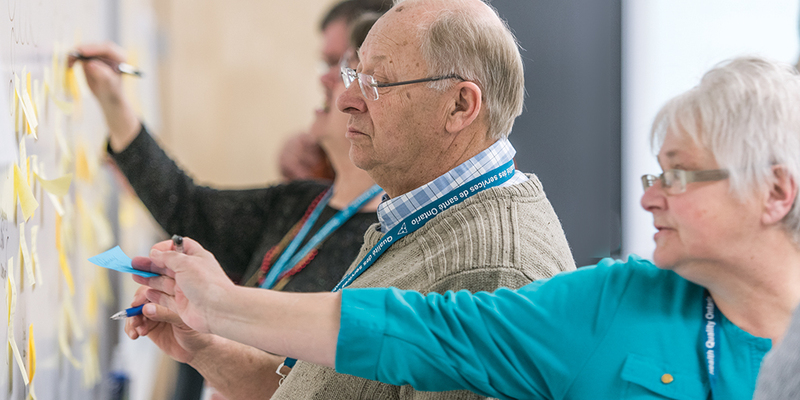 Attend a Mental Health First Aid workshop hosted by Durham Mental Health Services this January, February or March in Whitby. Alyson Rowe, previously Director of Policy for Health Minister Dr. Eric Hoskins, is now the Senior Policy Advisory to the Premier. She is covering Adrienne Spafford's parental leave. We extend our congratulations to them both! Sarah Cowley has been permanently appointed to the position of Executive Director at Hope Grey Bruce.